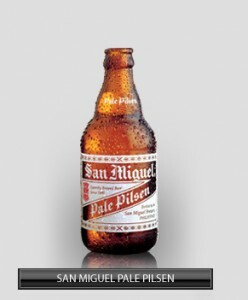 The most famous beer in the Philippines. No matter where you are, you will surely find a store that sells one. It is made from barley malt that’s been imported and also together with American and German hops. It brings out lots of bubbles when poured and it shines with a golden brown color. It is kinda sweet and grainy and crisp. A decent one and it is fairly cheap.